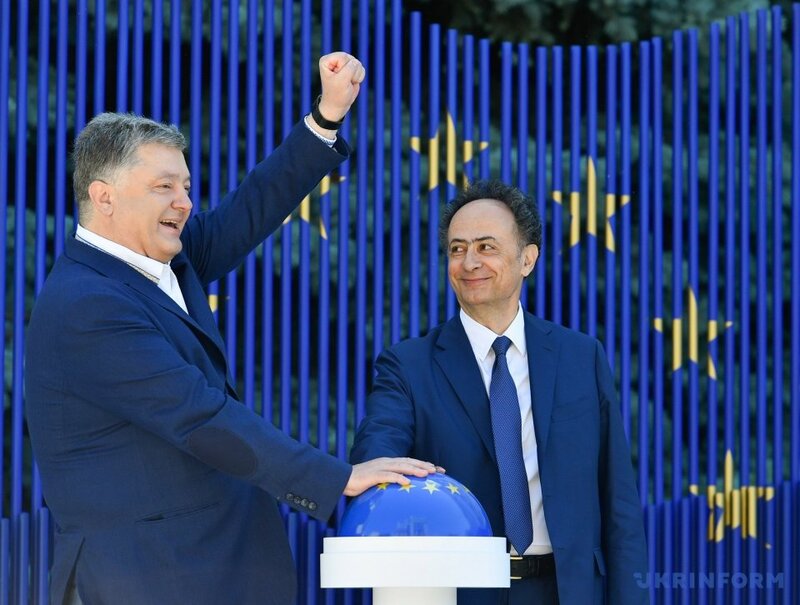 A symbolic launch of the "visa-free timer" took place near the presidential administration. 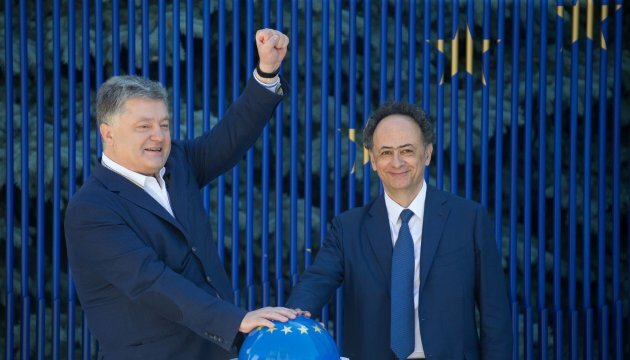 The ceremony was attended by President of Ukraine Petro Poroshenko and Head of the EU Delegation to Ukraine Hugues Mingarelli, an Ukrinform correspondent reported. "At last it has happened. We waited for this day for a long time, and all Ukraine and the Ukrainian people worked hard to change the country. We brought this day closer when we came to the Maidan and the Revolution of Dignity took place. We, Ukrainians, having created the Ukrainian army in a short time, defended our freedom, land, will and democracy from Russian aggression. 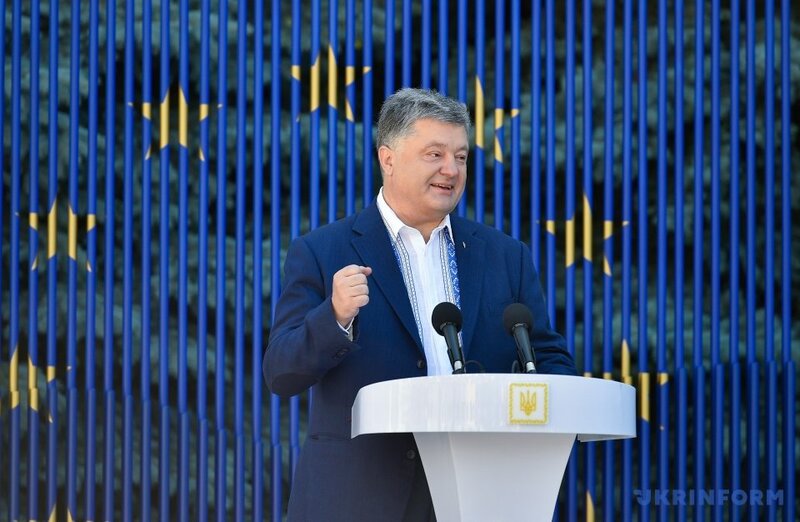 We have implemented the visa liberalization plan," Poroshenko said. The President noted that "now we are launching a countdown of irreversible changes." "At 12 hours, the last sound of the countdown will mark the justification of our hopes. It will mark the fall of the paper curtain that had separated Ukrainians from the European family for many years. And when the historic date of June 11 comes, this paper curtain will fall," the President said. In addition, today at 20:30 the President will attend a solemn event on the occasion of the introduction of a visa-free regime with the EU, which will be held on the Yevropeiska Square of the capital.